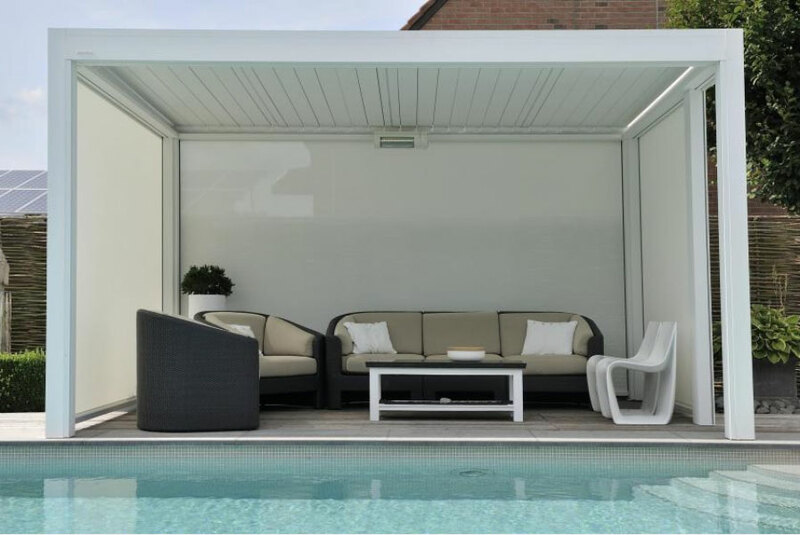 The Skyline is a showpiece system for an outdoor entertainer. 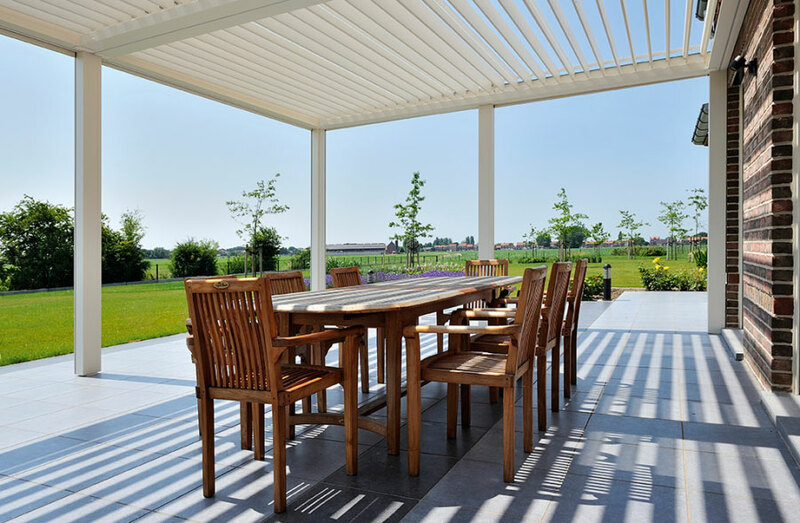 This pergola displays practical attributes that make it more than stylish. 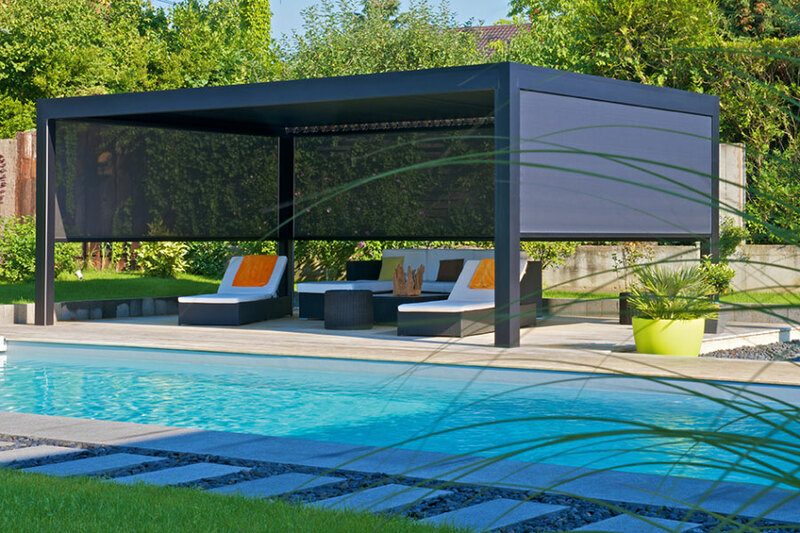 Your outdoor essentials are covered with flexibility to accommodate to your needs. 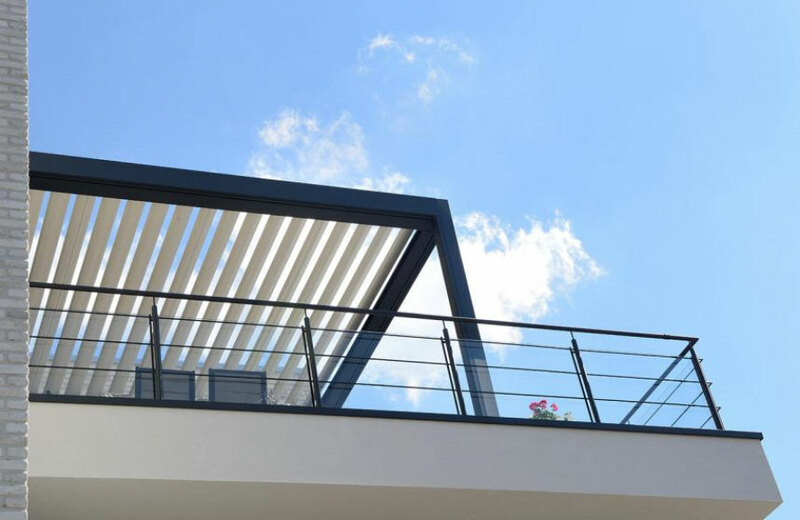 The louvered blades provide an optically calmer ceiling and with the full automatic rotating louvres, you can regulate your sun exposure seamlessly. 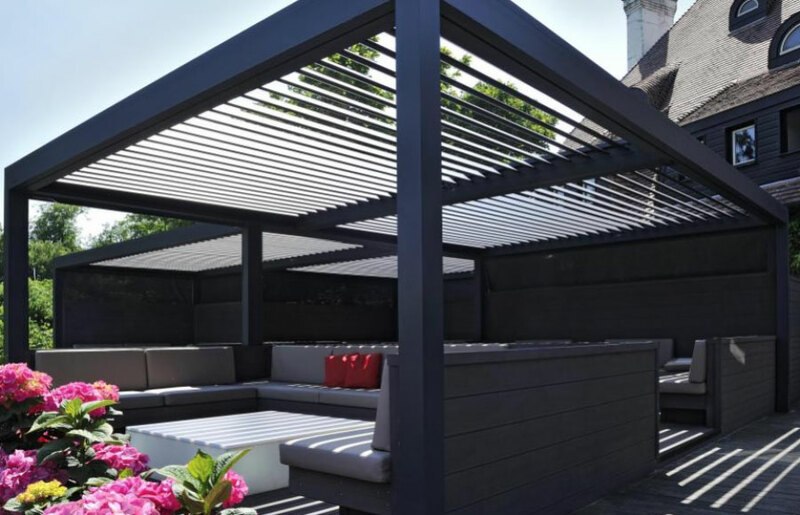 Style your Pergola to your personal taste and use by adding optional HighTek LED Strip Lighting in the louvres blades or integrated in the surrounding frame to create a cosy, yet functional atmosphere while you entertain confidently that nothing will interfere with your celebration.